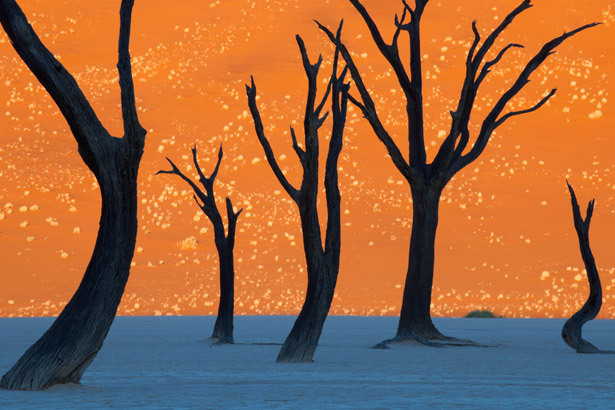 While on assignment in Namibia for National Geographic magazine, Frans Lanting captured this surreal landscape image in a location called Dead Vlei. Due to the nature of the lighting in the frame, the photograph appears almost like a painting. An amazing photograph, via National Geographic Magazine.